We may assume that the price continues a local correction. In the future we can expect the Index to start moving downwards again and form wave (Y) of . There is a possibility that the instrument may reach a new local minimum by the end of the week. It looks like wave B is taking the form of zigzag pattern. 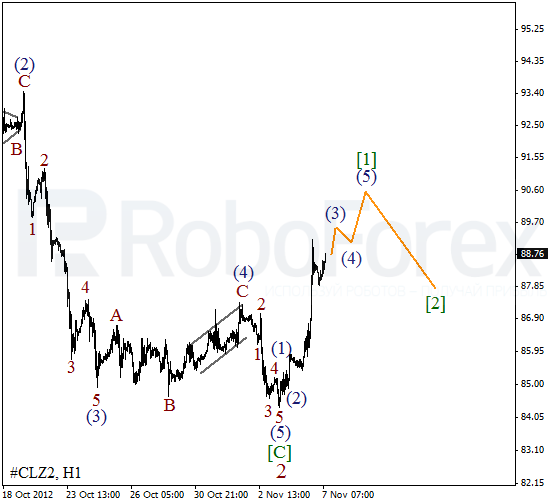 On the minor wave level the price formed wave [B] in the form of zigzag pattern. 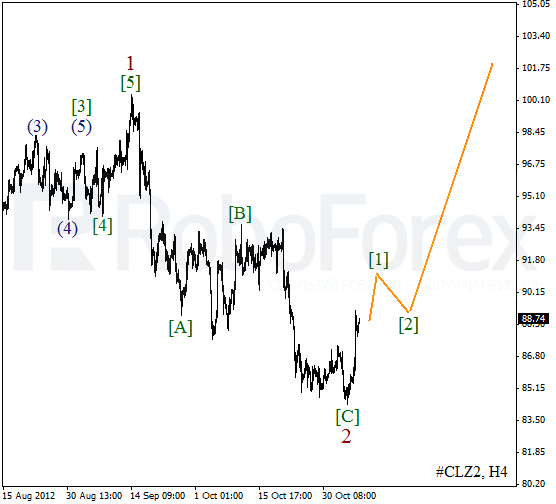 In the near term, the instrument is expected to start forming an initial bearish wave. We may assume that Oil started forming an initial ascending wave [C]. 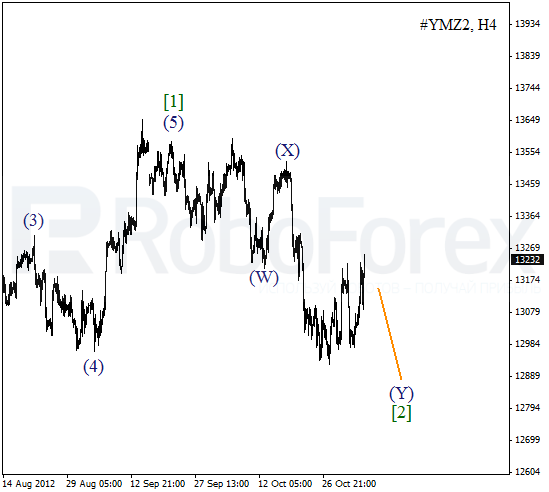 Wave 2 was completed in the form of zigzag pattern. The price may continue growing up on Wednesday. I’m planning to open a buy order after the instrument finishes wave . 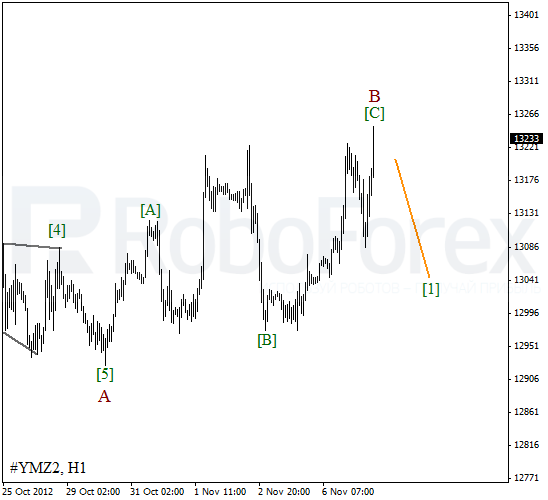 As we can see at the H1 chart, the price is in the very middle of wave (3) of . There is a possibility that the bulls may reach the level of $90 per barrel of Light Sweet within the next several hours. After that we can expect a correction.